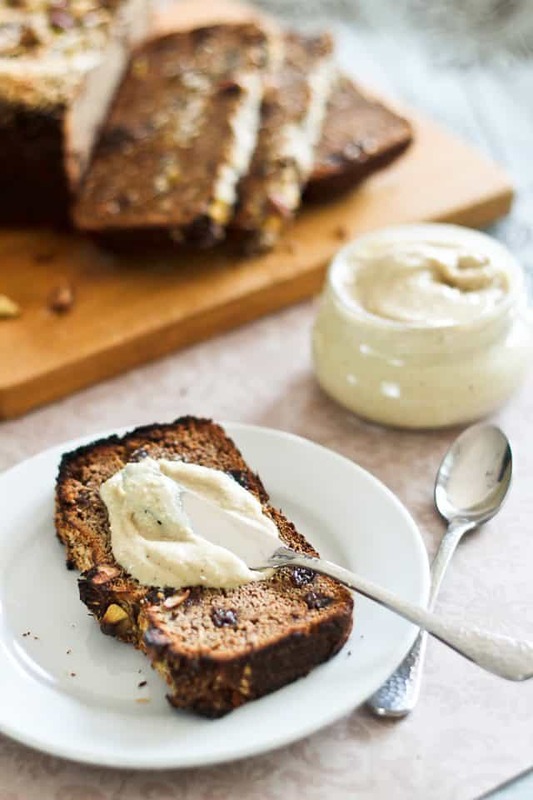 You are here: Home / All Recipes / Paleo Friendly Recipes / Paleo Banana Bread – The True, One and Only Last Banana Bread Recipe you’ll ever need! I know, when I came up with this Spelt Banana Bread recipe a while back, I said it was the “last-banana-bread-recipe-you’ll-ever-need”. Well, I’m sorry to say that I might have erred. 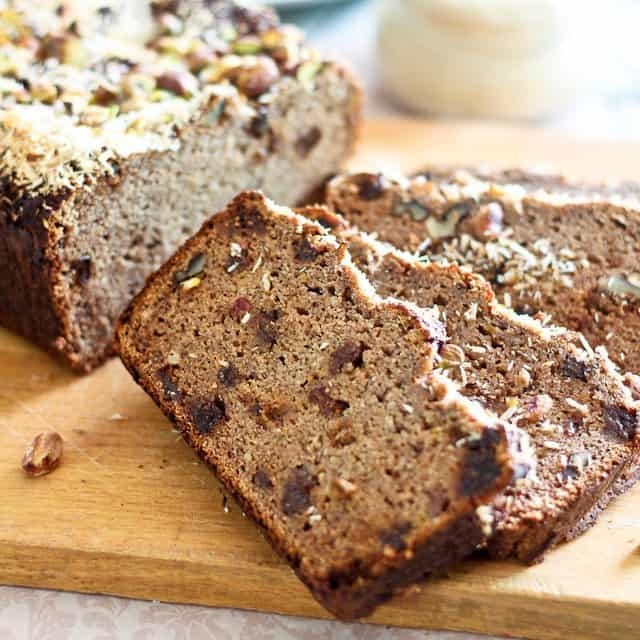 When I recently decided to go paleo, I thought for sure that I’d had to give up on that one and that I would never get to sink my teeth into a nice thick slice of the heavenly bliss that is banana bread ever again. That very thought made me really sad, but I was ready to make the sacrifice, I guess. Or so I thought. That was until I got sort of stuck with two VERY RIPE plantains, crying, begging, praying on their knees to be used up very very soon. I don’t think there was any way they could’ve turned even one shade darker. Sure, I could’ve simply thrown them in the freezer. But where’s the fun in that? 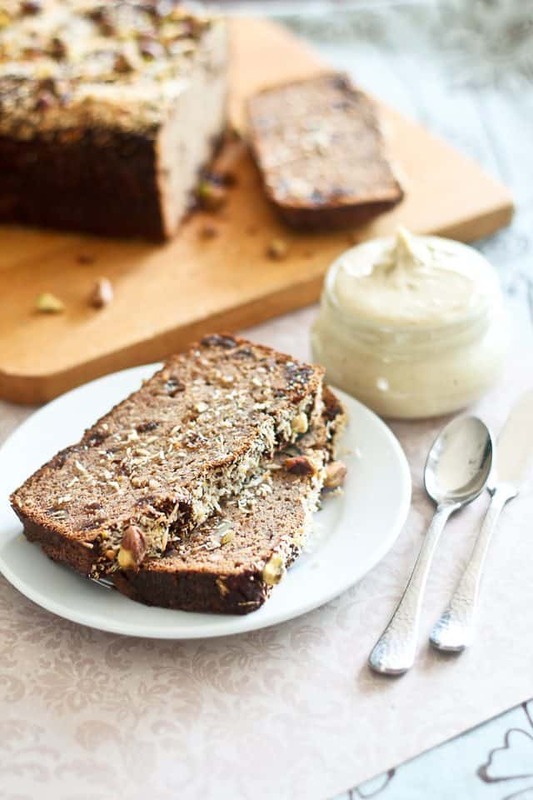 Then, I got this wicked, crazy, devilish idea: what if I revisited my “last-banana-bread-recipe-you’ll-ever-need” and made it the REAL last recipe you’ll ever need? 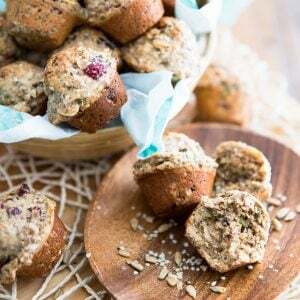 A version that would be entirely GRAIN FREE, GLUTEN FREE, DAIRY FREE AND REFINED SUGAR FREE? Of course, it would still have to be delicious, though. What’s the point of eating “cake” if it ain’t gonna make you die, right? In a good way, of course. I mean that in a good way! Well, I totally pulled it off, guys. This one IS going to make you die. Probably even more than once, too! I’d say the odds are you’re going to die at least once or twice with every.single.bite. And if you do like I did and slightly toast it then top it with some of that delicious Raw Cashew Butter, chances are you’re never going to recover from these multiple deaths either. If anything, this version is even better than the last. I can’t even begin to explain. You’re gonna have to try it for yourself. Oh, and if you don’t happen to have plantains that are begging to be used, you could always go with bananas instead. My guess is you’ll only end up with a banana bread that’s a tad sweeter than mine was. Not that it needs it, trust me. This one is plenty sweet enough as it is. 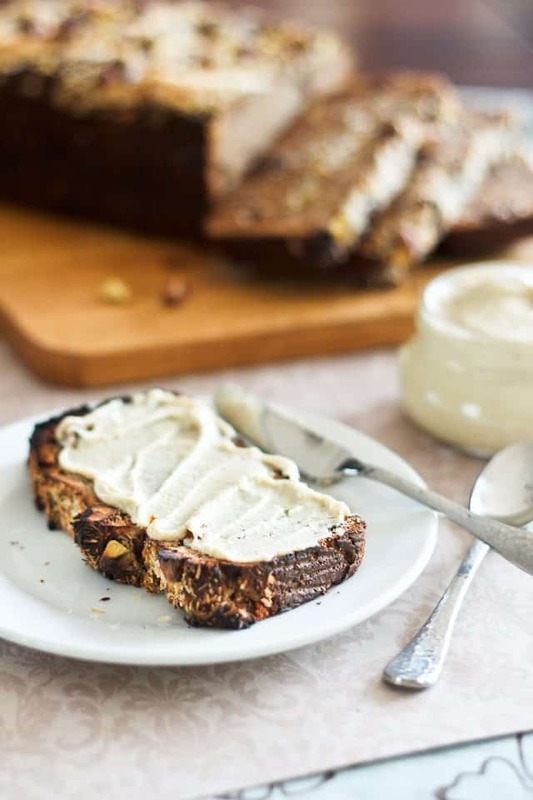 In fact, I would dare say that it is the absolute banana bread perfection. So incredibly moist, chewy, tender, sweet, tasty and dreamy. It has JUST what it takes of everything. It’s perfect, I tell you! And no one would EVER be able to tell that this was healthy if you didn’t tell them. his, I swear! Guaranteed, or you get your money back. But not your life, sorry. Go make some banana bread! Preheat oven to 350F; Line a loaf pan with parchment paper or grease well with coconut oil and set aside. In a small bowl mix flours, cinnamon, baking soda, and salt. Add walnuts and raisins and stir until well coated and set aside. In the bowl of your food processor, combine all the wet ingredients and process until very smooth. Add that to the dry ingredients and mix with a rubber spatula until well combined, no more. 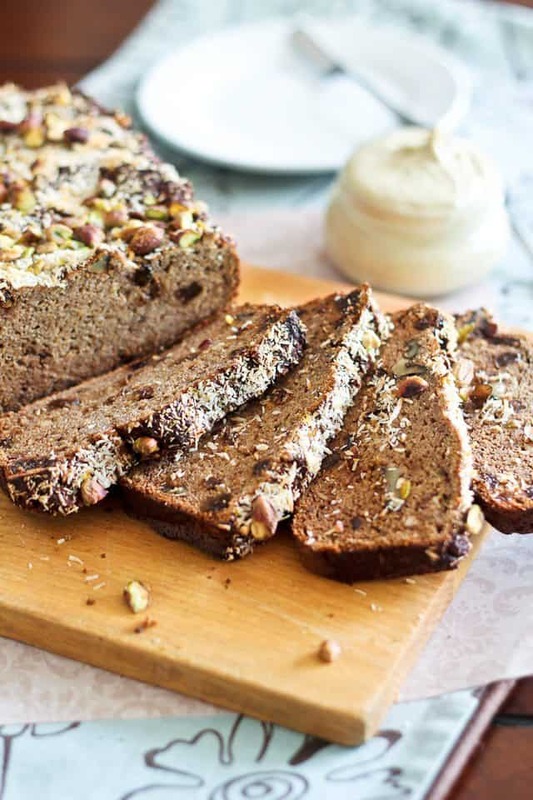 Pour the batter into the prepared loaf pan and sprinkle with coconut and chopped pistachio. Place in the oven and bake 70-75 minutes, until the center is set (a toothpick inserted in the middle of the loaf should come out clean). Set loaf on a wire rack and let it cool in the pan for about 5 minutes before unmolding it. Finish cooling on the rack and transfer to the refrigerator, where it will keep for up to a week in an airtight container. Can you SEE how moist this is? Spread it out nicely… and get ready to die! And there you are… I betcha death never felt so good! To-die-for-bread? Count me in. I love that this version is completely healthy. Mmm, and it looks so good toasted! This looks incredible! How important is it to use plantains? Could more banana be used instead? 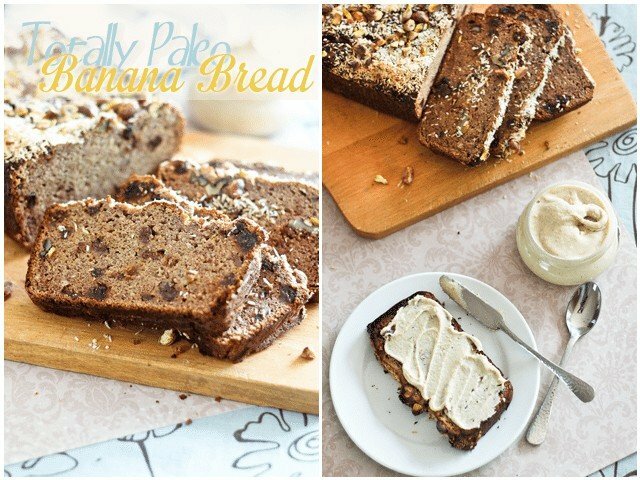 I would love to try this recipe, but am finding it difficult to find plantains… Can I use more banana to replace them or are the plantains necessary for their starchy properties, to hold loaf together? Coconut milk from a can? And if so do I shake it first? I always question if recipes are calling for the carton coconut milk or canned. I’m excited to try this! Oh, and yeah, shake it first too! oh…your claim is fair and accurate 🙂 My quest for a banana bread that is paleo is over. Delicious. 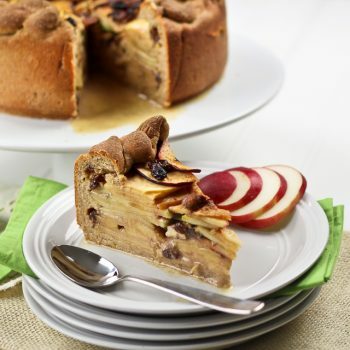 It doesn’t taste like many paleo recipes…which tend to taste “eggy” and lack sweetness. THank you for sharing! ps…i used all bananas as that’s what i had on hand. Worked perfectly well. 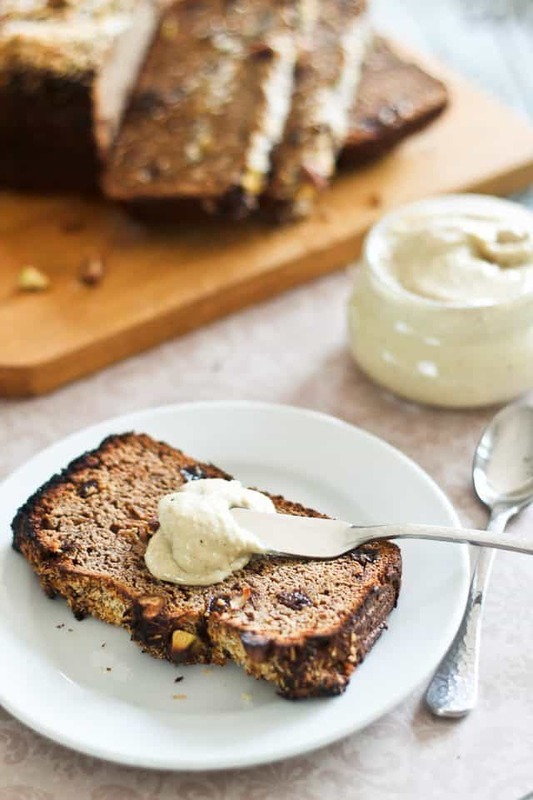 I’ve tried Paleo Banana breads before and they’ve not been very good, but this recipe is different, I’ll have to give it a go! 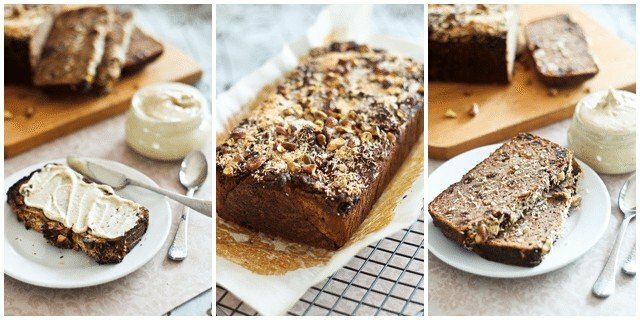 Your banana bread looks delicious and decadent! I pretty much have all the ingredients except the overripe plantains, lol, but i’d have to make do with bananas. And that cashew butter, can you send me some??? lol. I want to reach into my screen and grab some of those as well! 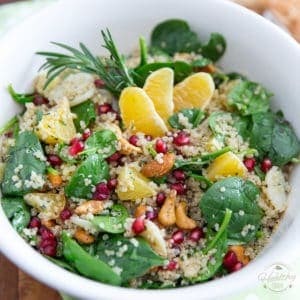 This was the so easy to make and so healthy! Ended up using 1 plantain and 3 bananas. I am going to make this every week! Thank you for all the time and effort that you put into this blog, it is truly inspiring! I am very grateful to have found your site! Please keep it up!! Thank you so much for this great feedback, Marianne. 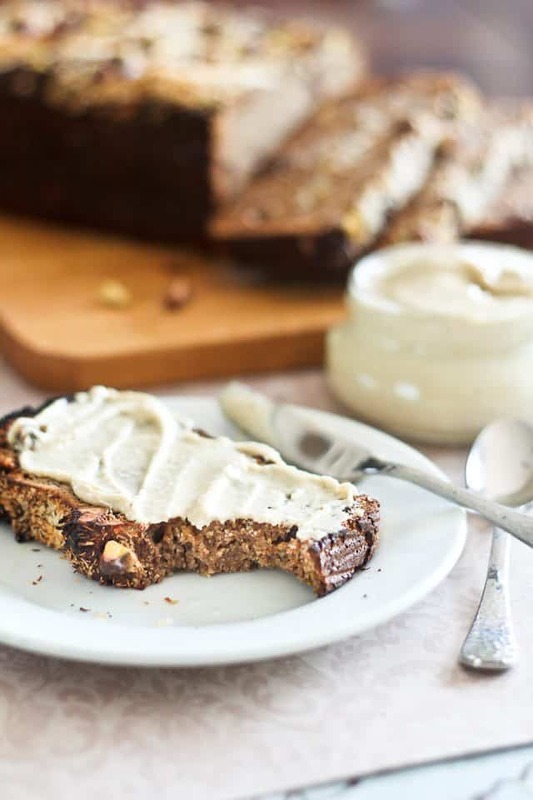 So happy to know this banana bread is working for you! And thanks for your super kind words, too; I truly appreciate that. You’re a real gem! I followed your recipe completely except that I used strawberries and blackberries as blueberries were prohibitively expensive. I experimented with using bananas that I had previously frozen then unthawed. The bread came our moist and very edible. However, there was a slightly bitter taste to the first bite of the bread slice. I am wondering maybe it was the bananas, due to the fact that they were previously frozen? I like coconuts and use it often. However, this is the first time that I have used arrowroot and almond flours. Has anyone else had this result? I should preface this by saying I have not had the best experiences using coconut flour in the past,I think the results come out too mushy, almost as if it is still not sone baking. I’ve had this issue wit any recipe I’ve tried that contains mre than a few tbsp of coconut flour. I tried your recipe the other day and it tastes great, but I still got that mushy texture that I am not fond of. Can you please tell me if I am doing something wrong? I know coconut flour is very nutritious and i would like to cook with it more, butnot if this is the kind of texture I can always expect. I just made this into muffins, using the left over dried figs I had in place of raisins and YUMMY. 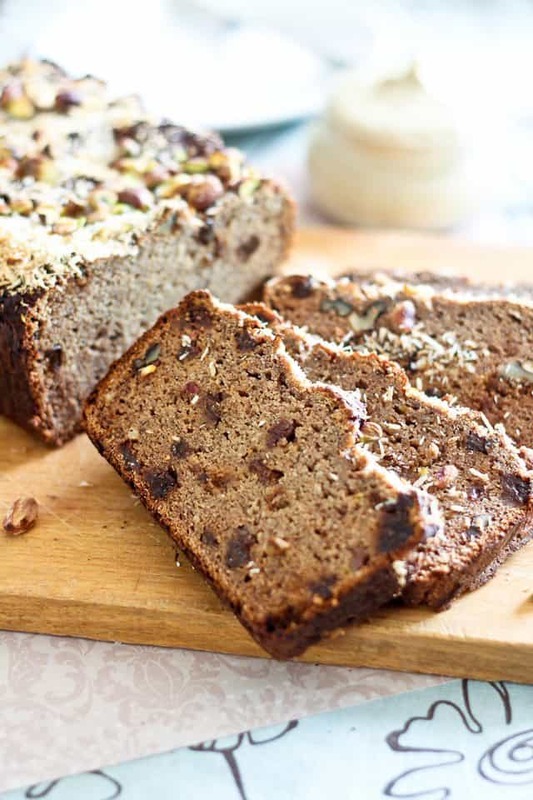 Well done on the texture and taste–definitely a true banana bread! Even my very-much-not-paleo boyfriend loved them! Thanks for a great recipe. Just baked this & it is absolutely delicious! Thanks so much for sharing the recipe. YUM! I tried this today (TWICE) with a few tweaks based on what I had here. 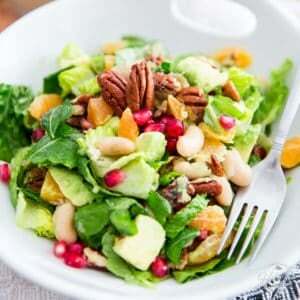 I used all bananas, pepitas and sunflower seeds in place of walnuts, dates instead of apple and raisins. Absolutely delicious. 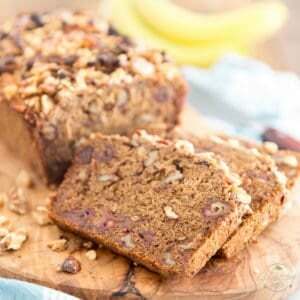 Definitely the best Paleo banana bread recipe I have come across. Thanks for sharing. If i put it into muffin tin will bake time be shorter? Do you suppose I could use just almond flour? I don’t have coconut flour. Oh no! You mean the one on top? Hope your bread wasn’t ruined! Put a little too much shaved coconut on top, but otherwise it was as delish as the others said! Yep, the non-Paleo bf loved it! I did sneak a little honey (about 1/4 cup) in. Used golden raisins, no almond extract, and topped with almond butter. I might try cutting down to 1 tsp baking soda next time. I feel like I tasted that a little too much. But SO good! Just had it for breakfast again today! Thanks for the awesome recipe! I do not have arrowroot flour, just coconut and almond flour. 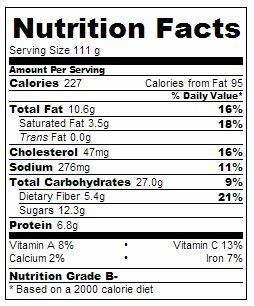 Do you have any suggestions on how I should adjust the amount of coconut and almond flour to make up for the missing arrowroot? 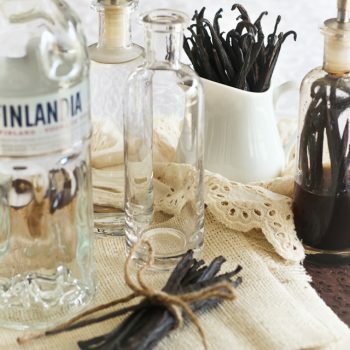 I would love to make this tonight! I think I would do 1 tablespoon coconut flour and 3 tablespoons almond flour in replacement of the arrowroot. It should do the trick! Let me know how it went, if you do give it a try. 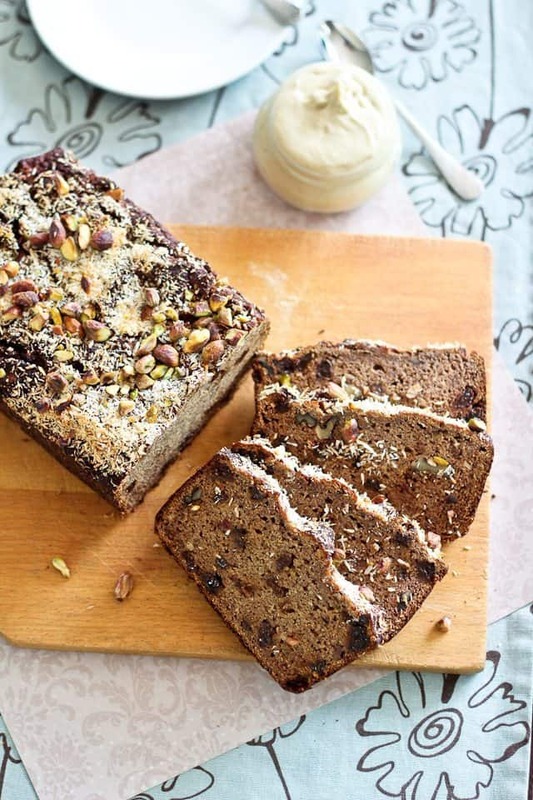 This is without doubt the most delicious and best formed paleo banana bread I have made! I used three bananas, threw in some desiccated coconut, used almonds not walnuts to suit my pantry – it went so quickly yesterday we are making it again today. 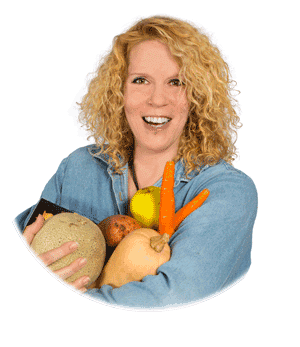 Even the non Paleo folks thought is was delicious – as they should! Thanks! This was really good! Not too “eggy” like some others I’ve tried. My grocery store has plain roasted plantains in the freezer section so I used those. First of all, love how well written this is, made me lol a few times. Kuddos on that. My question is, can this be prepared in a bread maker? I bought a bread maker weeks before I started paleo and I’d love to dust it off and USE it if possible! As for making this in a bread maker? I have no idea! I have never seen a bread maker in action, let alone use one, so I don’t know exactly what they do or how they work… sorry I can’t be of more help. 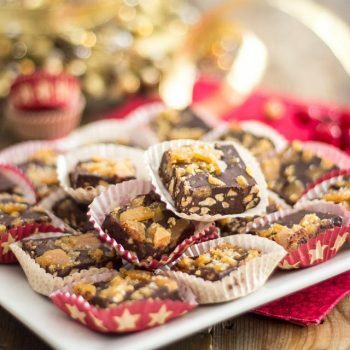 This recipe is so awesome! The starchy plantains and arrowroot prevent it from being soggy like lots of coconut flour recipes! Great post! Thank you so much for this awesome recipe. I can’t have grains at All and what I miss the most is a peace of bread and a cup of tea or coffee to go with it. 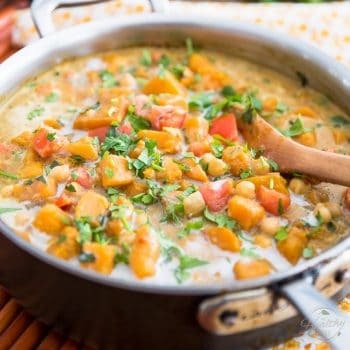 I saw this recipe earlier today and gave it a go– immediately!! I have to admit that I subbed a few ingredients just because I didn’t have the required ones at hand. It came out good!! I can’t wait for breakfast!!! I’ve shared this recipie out with a half dozen people who always ask for it. It makes great muffins too. The one thing I always tell people is that 70-75 minutes on 350 (as stated) will leave them with charcoal. A loaf takes me 45 minutes at 350 or 25 minutes for large muffins. Is it a typo? I have coconut and arrowroot flour but no almond flour. How can I adjust the measurements? I strongly suggest that you get some almond flour, Theresa. However, if it really wasn’t an option for you, I’m pretty sure that you could replace it with the same amount of arrowroot flour and the bread would still turn out fine.